What Is The Peak Athlete About? The Peak Athlete is about helping athletes reach peak levels of performance consistently. We’re hear to help you hone, refine and develop even stronger levels of focus and concentration, so you can perform at a more consistent level every night. We also advise and help you to develop strategies which are unique to professional athletics. The reality of life in the pro’s is the uncertainty of coaches, trades and the barrage of outside forces that want to distract you from the core responsibility you have. Compete and perform at a high level in your sport. The Peak Athlete also takes the unique approach of never disclosing who we work with, if you’d like to disclose it, go ahead. We don’t. Privacy is critical to the trust we’ve had with clients for over 18 years. There’s no shortage of people trying to ‘get something from you’. We also work closely with the team already around you, as well. Agent, Trainers and even Family. Our pro clients have been in every major sport and started working with us in their first year or 12th year…their is no right or wrong time. The typical amateur athlete is being forced to compete under higher and higher levels of stress than ever before. Whether it’s bad coaching, politics of sport or the stress of competition. All of these and more, are causing young athletes to quit their sport before they really want too. We’re dedicated to giving amateur athletes the tools and support to help them manage and develop the inner game. Mental toughness training can be one of the keys to helping an athlete continue to develop their skills and possibly get to the next level. We’ve been working with individuals, teams and coaches for over 18 years and have helped thousands of young athletes build their confidence, play with more composure and reach new levels of performance. Todd Herman has been described as a “visionary” and “leader” in the sporting world and has been featured in numerous media publications. His innovative approaches to helping players and teams achieve their full potential and crush the ‘confidence-sucking’ leaches of stress, game distractions, negative thinking and poor game-planning. Has attracted the attention of professional athletes and teams throughout the world. His enthusiasm and belief that athletics is the greatest training ground for developing leaders on and off the field – is why so many people flock to work with him. His approaches to developing the mental toughness and personal development skills necessary to reach ‘BIG’ goals are why he’s become the go-to guy for Olympic and Professional athletes. For over 16 years he has studied the key components of what it takes for an athlete to not only have a successful game or match – but a successful career in athletics. His unique and special relationships with psychologists, neuro-scientists, athletic trainers and human biology experts – have allowed him to develop a proven system for creating peak performance results over and over again. Todd, has also played sports at a high level. He was a nationally ranked badminton player in high school, played football for a major University in Canada and plays Australian Rules Football for the NY Magpies (although his body is telling him to hang up the cleats!). His personal experiences allow him to relate to players on a deeper level – because he knows what their going through and not just spilling some ‘Sports Psychology’ theory onto the players that has never been proven to work. In fact, one thing that sets The Peak Athlete’s programs apart from all others – is everything that is taught, has to be proven via our own research. I love Root Beer. I know, I know, it’s not the healthiest stuff on the planet – but we’re all allowed one indulgence right? Huge fan of chocolate brownies. Okay I realize I just said we’re all allowed one indulgence – but I have a note from my Mom that says I can have two. What can I say… I’m a good son! Grew up on a farm and ranch in Alberta, Canada and fell on a cactus when I was 6. Had over 80 needles stuck in my hand. And I can confirm it doesn’t tickle. 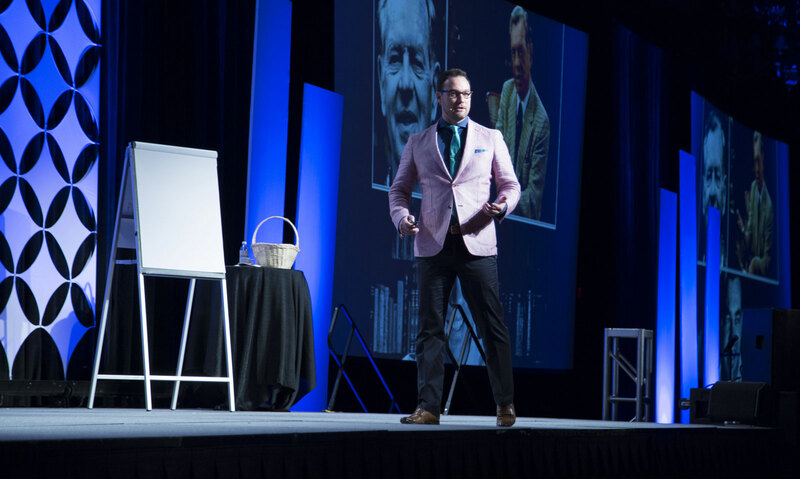 I’m based in NYC & Edmonton, but spend a lot of time travelling to do speeches, workshops and meet with amazing, outstanding and inspiring clients and athletes. I’m an adventure-holic and will always try something once. When I was in Cape Town, South Africa I did a Great White Shark cage dive and one of the little buggers decided he liked what he saw on the inside of the cage. He smashed the cage, I swallowed copious amounts of salt water and maybe let out a tiny little girl scream… but let’s pretend I punched him in the mouth and he left us alone, Okay!? My birthday is October 9th, so feel free to mail Root Beer, Brownies, or tickets for Adventure Excursions! I prefer to NOT take my self to seriously (which should be obvious by now) – having a sense of humor about yourself is key to not getting caught up in the ups and downs sport and life throws your way. I believe that EVERY athlete should be exposed to the confidence boosting, focus-building and performance energizing strategies The Peak Athlete provides. But I’ll settle for the athletes, coaches and parents that are smart enough to realize this is the missing link in most peoples training. Which basically means you. After all… you’re the one smart enough to be here.